We completely redesigned the text editor in Articulate Storyline to give you even more control over text formatting and placement. In this tutorial, we'll explore the paragraph formatting features, like alignment and spacing. For font formatting options, see this tutorial. Select the text you want to edit, then go to the Home tab on the ribbon and use the Paragraph formatting options. Hover over the buttons in the Paragraph group to see their functions. If you don't see the Left-to-Right Text Direction and Right-to-Left Text Direction buttons, you'll need to add a right-to-left keyboard input language in Microsoft Windows. 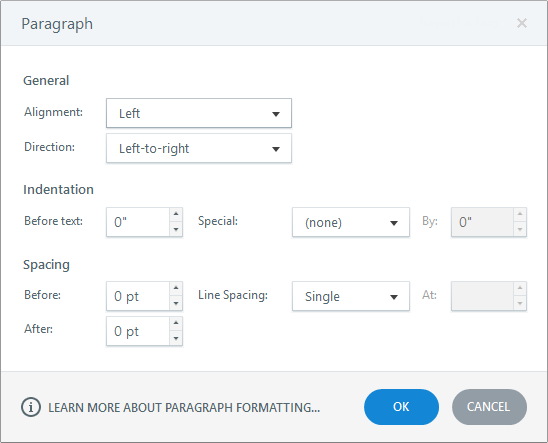 To apply the same paragraph formatting to an entire text box, just select the text box and make your selections. To apply formatting to an individual paragraph within a text box, place your cursor anywhere in the paragraph you want to edit, then make your selections. You can select multiple text boxes on a slide and format them all at once. Use Shift+Click or Ctrl+Click to select more than one text box, or click and drag around multiple text boxes. Then choose your formatting options. For even greater control over indentation and line spacing, use the Paragraph window. Just select the text you want to edit, then click the arrow in the lower right corner of the Paragraph group on the ribbon. The following window will open where you can edit horizontal alignment, text direction, indentation, and line spacing. 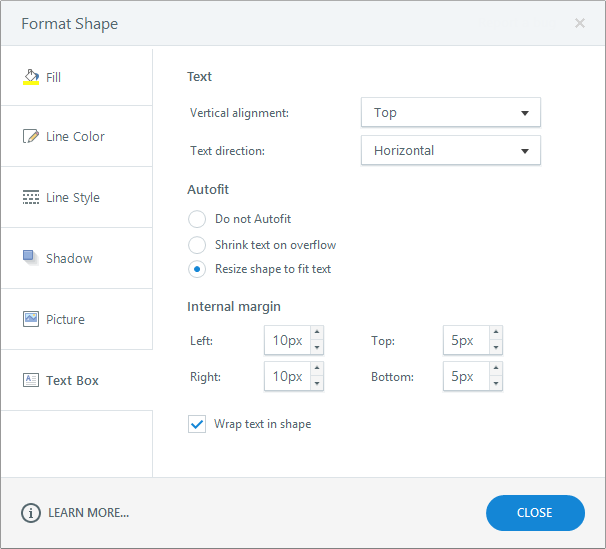 To control autofit behavior, margins, and text wrapping, right-click the text box and choose Format Shape. Select the Text Box tab on the left side of the window that appears, then make your selections. Learn more about formatting text boxes here. Use the following shortcuts for common paragraph-editing tasks to work even faster. Find even more keyboard shortcuts here. Go to the Home tab on the ribbon and click Format Painter. Click another text element to apply the same formatting to it. Tip: If you need to apply the same formatting to multiple text elements, double-click the Format Painter to keep it turned on. Click it once more to turn it off when you're done, or press the Esc key on your keyboard. Another option is to format one text box, then make it the template for new text boxes in the same course. Just format a text box the way you want it to look, then right-click it and choose Set as Default Text Box.